U.S. asks: Which enemy is higher priority? 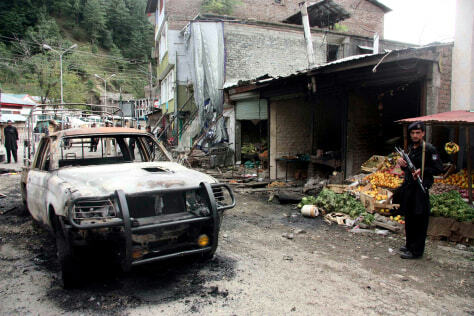 A suicide bombing by Taliban extremists in northwest Pakistan on Oct. 12 killed 41 people. The Obama administration is weighing whether to focus more on Taliban extremists in Afghanistan or al-Qaida and its allies in Pakistan.